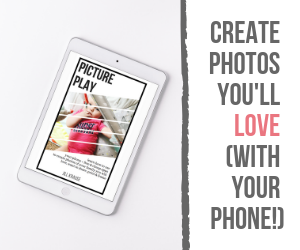 Giveaway: While this giveaway announcement is only open to my friends who are attending BlogHer ’11 with me I have another giveaway coming soon for the rest of my readers who are reading this around the globe! Stay tuned! As you may have heard by now, Rockin’ Green is my personal BlogHer ’11 sponsor and has some great prize packages available for 2 of my new friends that I’ve met at BlogHer. Will it be you? 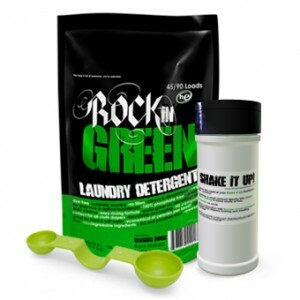 Each prize package will include a full size bag (45/90) of Rockin’ Green REMIX detergent, 1 bag of Funk Rock, 1 magnetic laundry scoop, 1 set of wool dryer balls, and 2 sample size packs of Rockin’ Green REMIX. I also have 100 samples of Rockin’ Green REMIX to hand out (in my room – not in conference spaces) upon request – please ask, email, or tweet me for more information. To enter all you need to do is find me at BlogHer ’11. When you find me ask me about #BlogHerROCKS and I’ll tell you how you can enter this giveaway. HINT: If you have a smartphone you may want to download a QR reader. Don’t have a smartphone? Don’t worry I’ll be happy to let you borrow mine so you can enter easily. Want a hint on where to find me? Follow the #BlogHerROCKS hashtag on Twitter and tell your friends about the giveaway. Be sure to include @TheEcoChic and @RockinGreenSoap if you are Tweeting about the giveaway. Rules: It’s simple – when you find me I’ll give you a link to an entry form or I will collect your business card and enter it manually. Winner must be in attendance at BlogHer ’11 in order to win and must be able to take the bundle with them when departing the conference. I will notify the winner via email and Twitter one time on Saturday, August 6th after 3:00pm PST. Winner must email or tweet me back to confirm (within 3 hrs) and make arrangements to claim their prize before the end of the day (Aug. 6th) in my room at the Marriott.